Charlie acted for the Gweek Protection Group, concerned about environmental damage to the Fal and Helford cSAC. 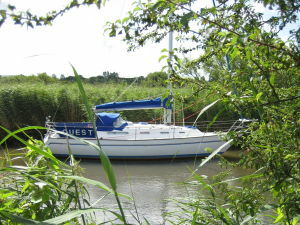 The group succeeded in registering a Formal Complaint with the European Commission over the failure of MAFF, the EA and the local authority to take enforcement action over the extension of a boatyard in the estuary, and a subsequent planning application was called-in for a Public Inquiry by the Secretary of State, following representations by the group. Charlie argued that (once again), no proper environmental assessment had been carried out and that no planning permission should be granted on the grounds that (once again) irreparable damage would be caused to a particularly fragile estuarine ecosystem. The Public Inquiry was due to start in August 2001. The planning application has since been withdrawn.